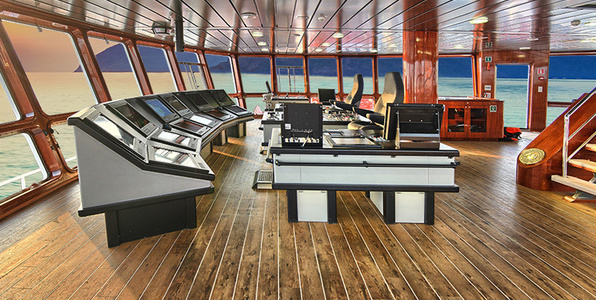 Offices, mess rooms, cabins, wheelhouses... As flooring expert, Gerflor proposes a complete flooring solution (from floor to wall) dedicated to ship interiors and complying with IMO regulation. Offices, mess rooms, cabins and wheelhouses can be fitted with a wide palette of STREAMO products: STREAMO KARAVEL luxury vinyl tiles (LVT) with wood and stone patterns, a wide selection of colorful homogeneous floorings, and completed by an extended choice of interior finishes (skirting, handrails, etc. ).